In the first segment, Jenn and Daren talk about Janelle Monae coming out as queer and what the resurgence of queerness means for this generation. In the second segment, Jenn and Daren discuss queerness as a set of gender politics and a set of sexual politics. 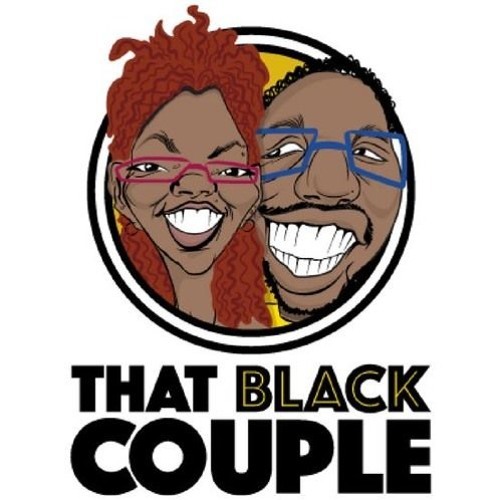 In the third segment, Daren reflects on being a heterosexual Black man coupled with a queer Black woman and Jenn reflects on identifying as bisexual, then pansexual, and now queer. Articles for reference: * Why, As A Queer Black Woman, It’s Important That I Write About Culture http://watercoolerconvos.com/2017/02/14/why-as-a-queer-black-woman-its-important-that-i-write-about-culture/ * To be a Black, Queer, Unrespectable Christian in an Era of Unrest http://watercoolerconvos.com/2015/09/01/to-be-a-black-queer-unrespectable-christian-in-an-era-of-unrest/ * I was most comfortable with my identity when I was anti-Black http://watercoolerconvos.com/2017/08/04/comfortable-identity-anti-black/ * Watch: Janelle Monáe - Dirty Computer [Emotion Picture] https://www.youtube.com/watch?v=jdH2Sy-BlNE www.ThatBlackCouple.com FB: www.facebook.com/ThatBlackCouple Twitter: www.twitter.com/ThatBlkCouple Instagram: www.instagram.com/thatblkcouple Stitcher: www.stitcher.com/podcast/that-black-couple Google Play: https://play.google.com/music/m/I7nue367hsfjdjbsyxed2tpeoca?t=That_Black_Couple_Podcast Email: ThatBLKCouple@gmail.com Podcast Summary: This is an accidentally funny podcast about the realities of Blackness and adult life. We do “adult” differently. We are That Black Couple. Our goal is to create a space for Black millennials to discuss and embody adult life on their own terms. We aren’t beholden to “traditional” gender or parenting roles, queerness is fluid and present in the ways we show up in our relationships and in the world, and we want to build community with other 30-something Black folx who are trying to figure this ish out.